DS was saddened to learn of the death of Captain Eric Melrose Brown CBE, OBE, MBE, DSC, AFC, KCVCSA, MA, PhD, HON FRAeS, RN. 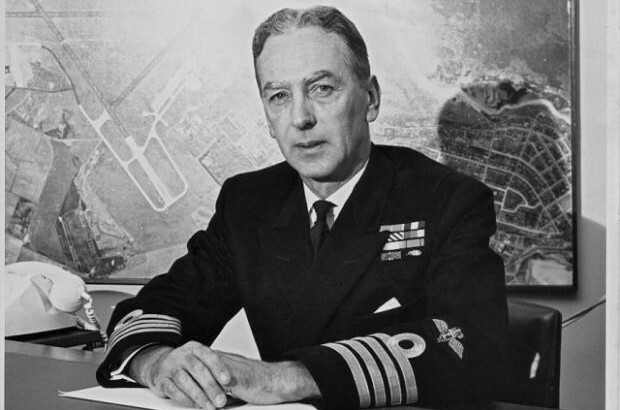 Captain Brown will always be remembered as a legendary British Aviator who extended the bounds of naval aviation worldwide. 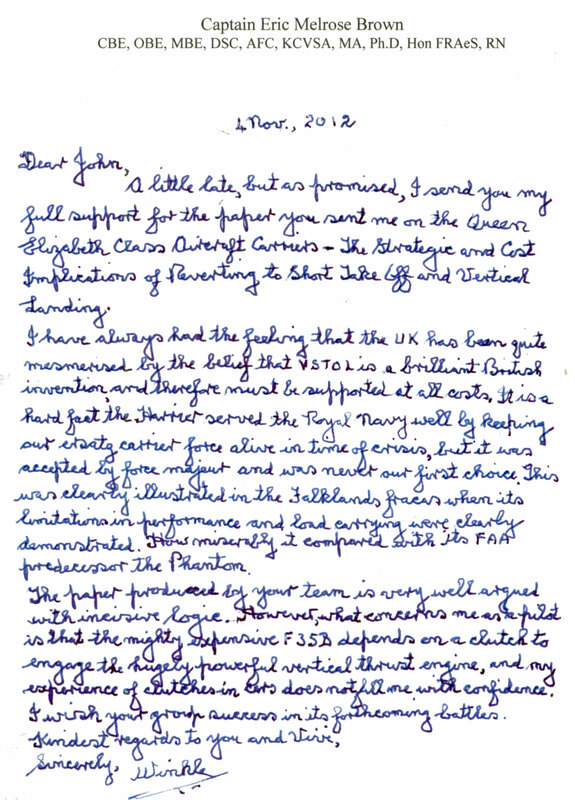 Despite his advancing years and increasing public fame he graciously found time to offer DS professional advice (See Letter) and peer review a 2012 DS paper on the Queen Elizabeth Carrier (QEC) and the F-35B Lightning II aircraft. Despite friend’s and colleague’s attempts, it is sad that his considerable contribution to Great Britain was not recognised by the award of a Knighthood. An example citation can be viewed here. Lt Cdr Eric ‘Winkle’ Brown RN conducts the first ever jet carrier landing.